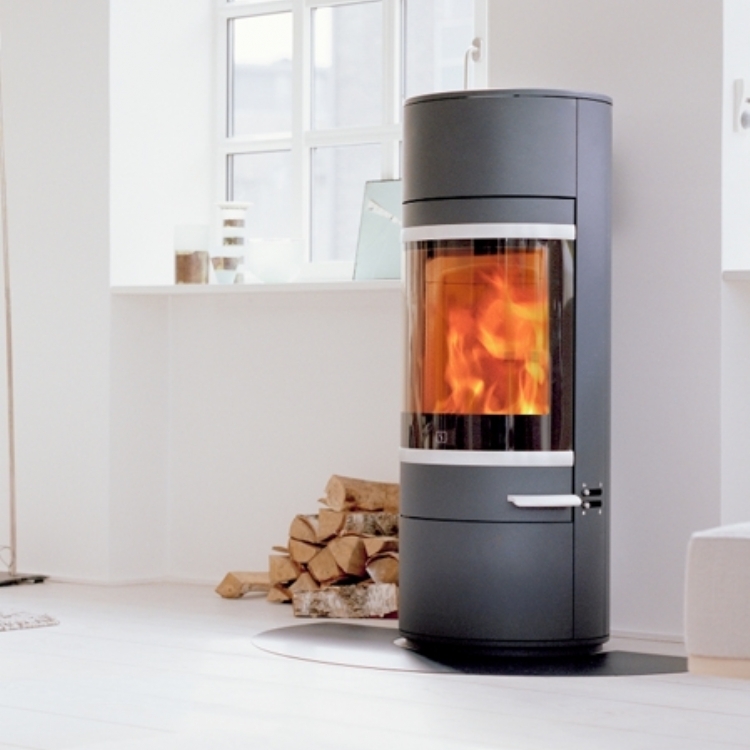 Scan 83-5 wood burning stove installation from Kernow Fires. 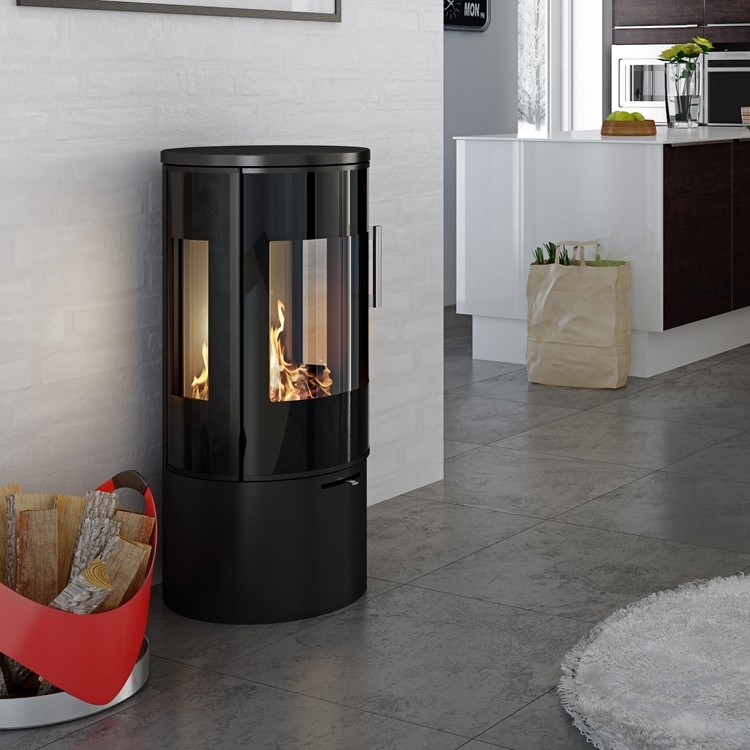 The Scan 83-5 fitted in Cornwall by Kernow Fires is a stunning fresstanding woodburner with the added efficiency and modern styling of soapstone panels which retain heat long after the fire has gone out. 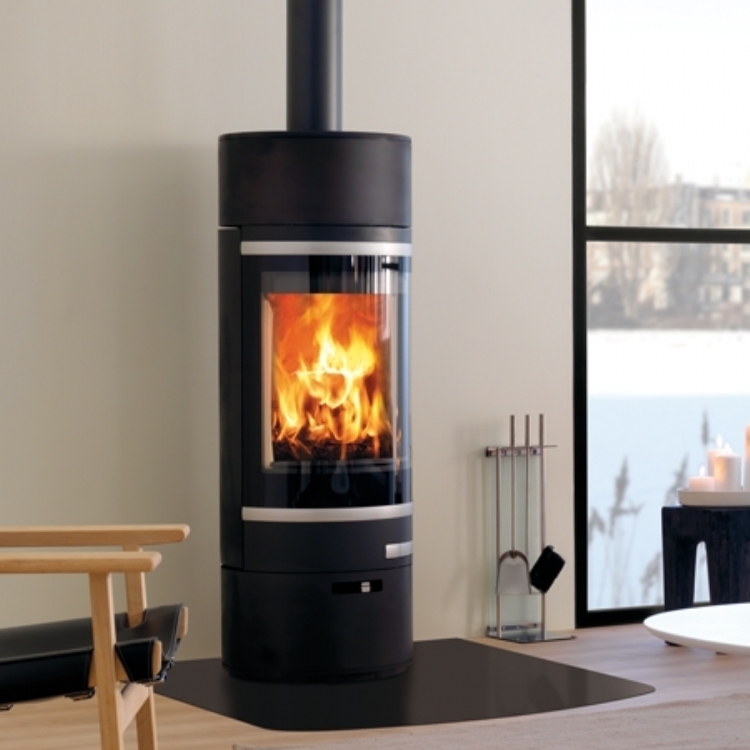 The chimney system was created using stainless steel twinwall. 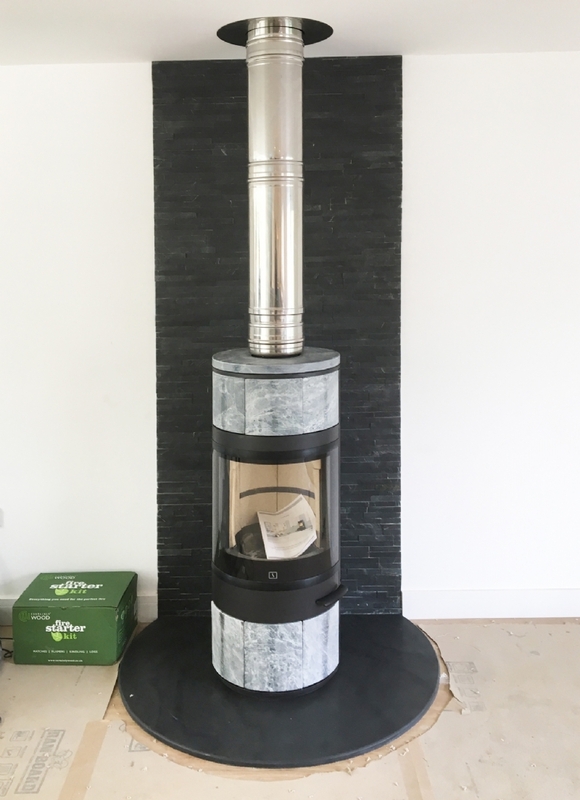 The hearth and backpanel where also provided and installed by Kernow Fires.